There are four PowerPoints in this folder. 1. Finding out about drums - 20 slides - Dusty and Pod arrive on earth and discover what it is that is making sound. 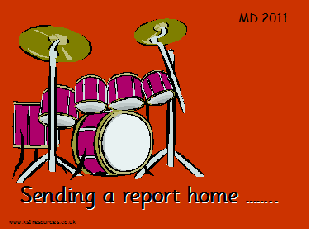 (Drums) and finds out some information for his next report home. 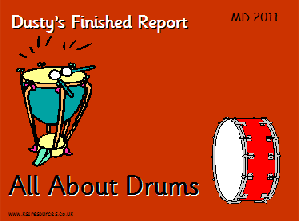 Dusty recaps what information he’s found out about drums. 2. Sending a non-chronological report home - 24 slides - Dusty begins planning his report but first Pod helps him to organise his writing and introduces a spidergram or spider diagram. 3. 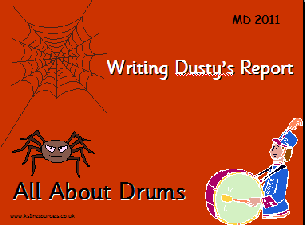 Dusty’s Report - All About Drums - 24 slides - Dusty starts to write his non-chronological report with the help of Pod and his spider diagram. 5. Two copies of the finished report for shared reading - in Word (change the font as needed) and PDF format. One copy has key words highlighted and relates to the PowerPoints. There are two PowerPoints and lots of music. 1. PowerPoint One - Finding out about the instruments of the orchestra - 34 slides with sound clips and music - Pod and Dusty meet the conductor who explains about the families of the orchestra; string instruments, woodwind and brass instruments and percussion as well as the harp and the piano. 2. 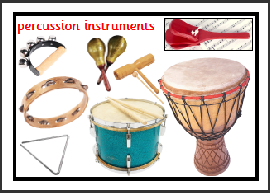 PowerPoint Two - Finding out about - Part Two - 25 slides with more sound clips of individual instruments and music. 1. 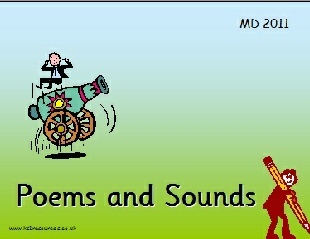 PowerPoint One - Poems and Sounds -22 slides with 16 poems, most with sound files. The poems are all sound related. 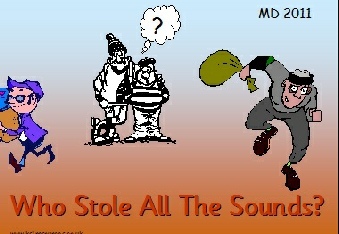 2. Who Stole all the Sounds? The Sound Collector - 20 slides with sounds and sound sources - using the poem as a starting point for discussion - what would it be like to live in a world without sounds? Looking at sounds and sound sources. 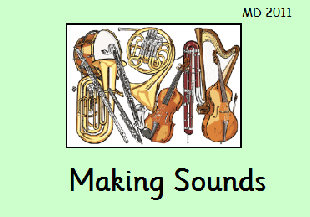 To know that there are many different ways of making sounds. To be able to make sounds in a variety of ways. 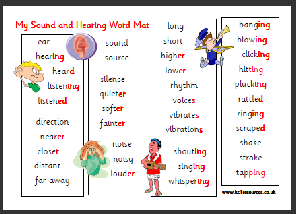 To be able to talk about sounds and classify them. 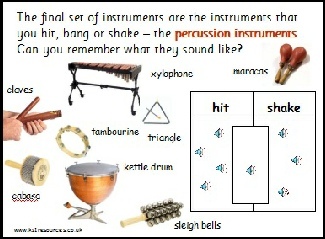 To begin to distinguish between wind, percussion and string instruments. 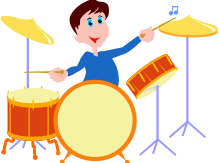 Dusty and Pod are back and this time they are finding out all about drums so that they can send a report back to their friends at home. Introducing a spider diagram as an organisational aid to report writing KS1. Describe what things are - or were - like. Start with a general statement - it might be a question to involve the reader. 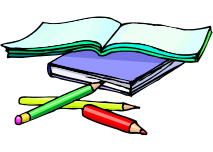 Give further details and use headings and subheadings to organise information. 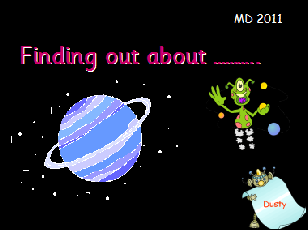 Click on the pictures above to see sample slides - allow time for slides and previews to load. 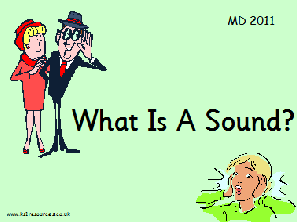 Objective: KS1 to link sounds with their sources and to distinguish between a sound and its source. 1. 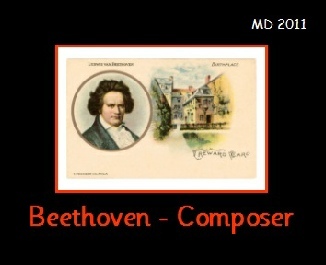 PowerPoint One - Beethoven, Composer - 17 slides - What is a composer? The story of Beethoven, his music and his deafness. 2. 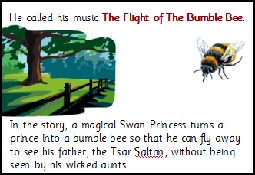 PowerPoint Two - Musical Stories - 29 slides - Composers often use their music to tell stories; this PowerPoint tells the story of The Flight of The Bumble Bee by Nikolai Rimsky-Korsakov and the story of Peer Gynt in the Hall of the Mountain King by Edvard Grieg. 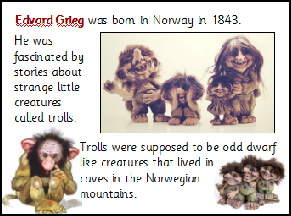 Grieg loved the trolls of Norway and children will enjoy using their imagination with this story and its music. 3. 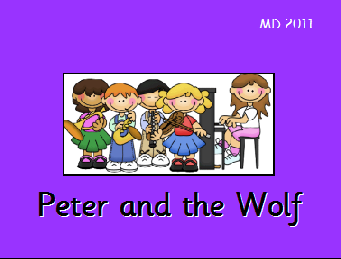 PowerPoint three - Peter and the Wolf - 26 slides - story and music written by Sergei Prokofiev. 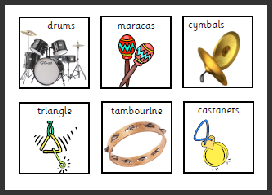 Each character in the story is represented by their own instrument. Click on the first two pictures above to see sample slides - allow time for slides and previews to load. Click on the three larger pictures above to see sample slides - allow time for slides and previews to load. Composers often use their music to tell stories. 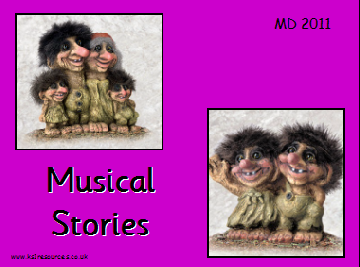 Here are some of the stories they told through music.